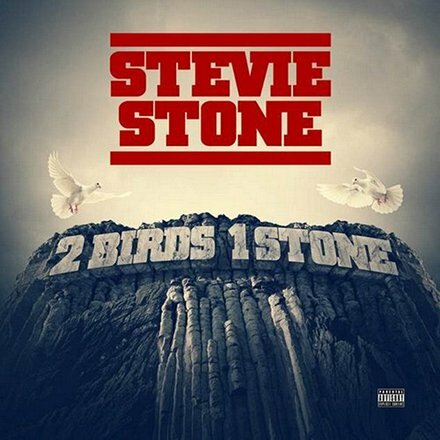 Stevie Stone is back with another album full of that heat: 2 Birds 1 Stone! Featuring Tech N9ne, Rittz, Krizz Kaliko, Jarren Benton and production by Johnny Juliano, Nick Fury and Wyshmaster, 2 Birds 1 Stone is packed full of the trunk-rattling bangers you’ve been missing out on. Songs like “The Reason”, “Get Out My Face” and “She Go” will turn up any occasion into a full blown party while songs like “Phases” and the epic “Baptism” (Featuring Tech N9ne and Rittz) will plunge you into a trance unlike anything you’ve ever heard from Stevie Stone. For an album to get your whole life turn’t up, look no further than 2 Birds 1 Stone.